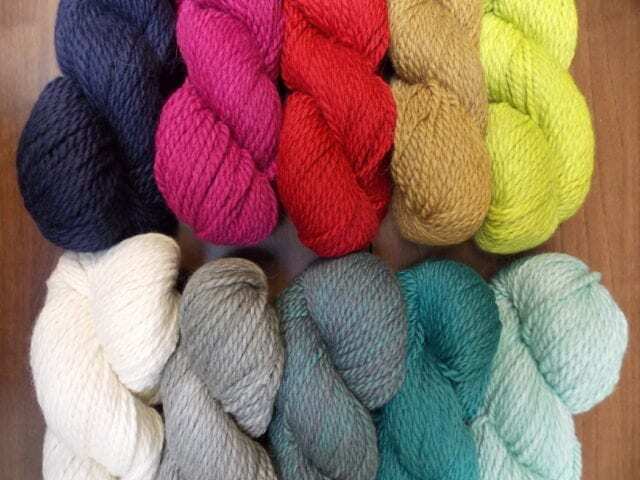 New colors in Fibre Company Tundra. 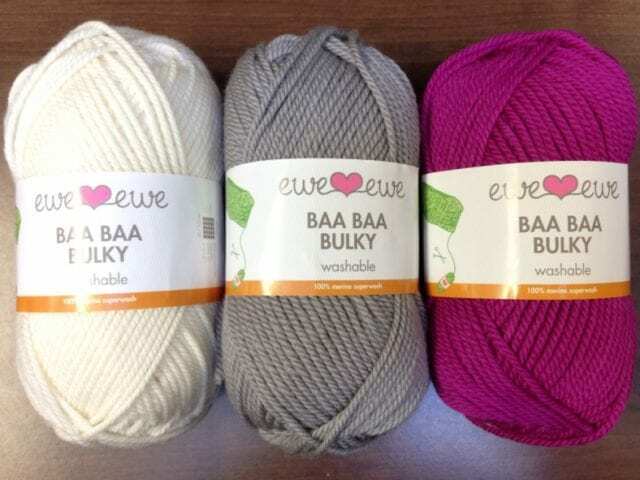 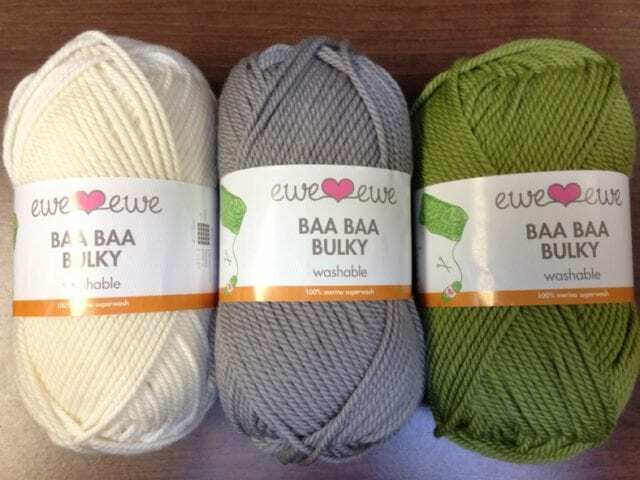 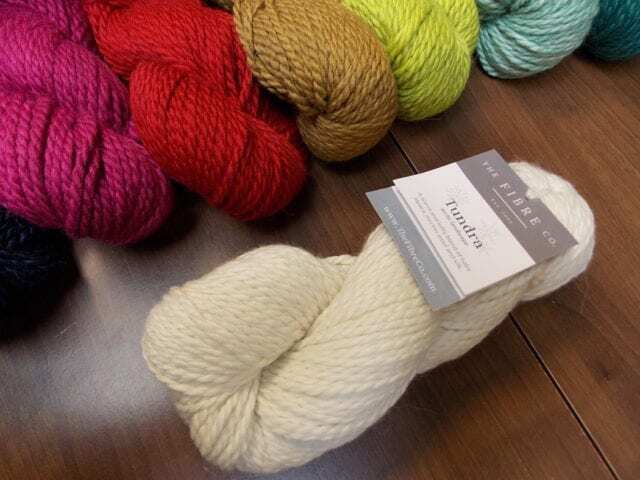 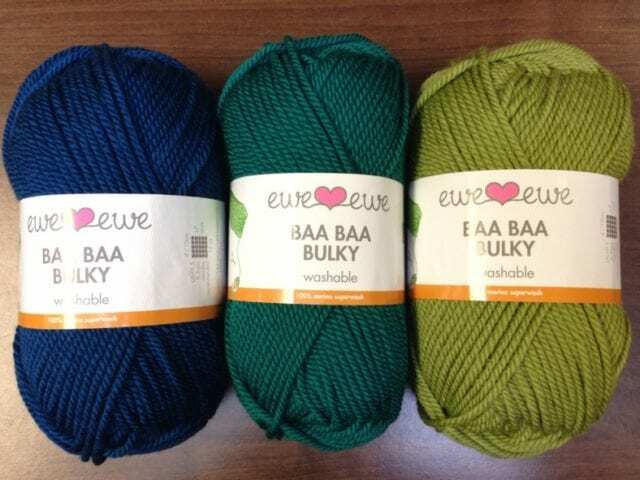 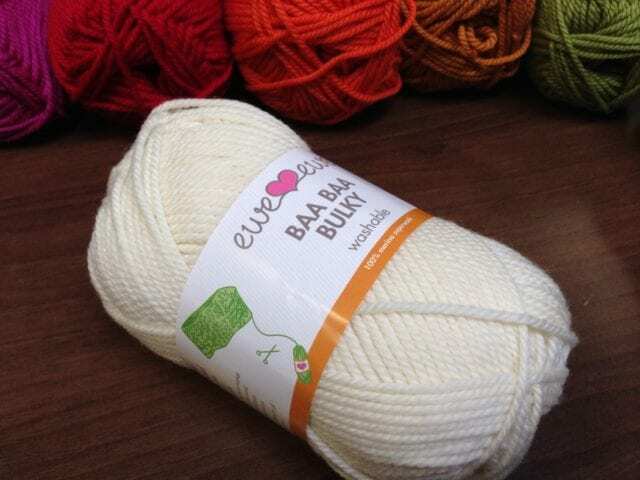 Last week brought four new colors in the Fibre Company’s fluffy Tundra, a super soft blend of alpaca, merino, and silk. 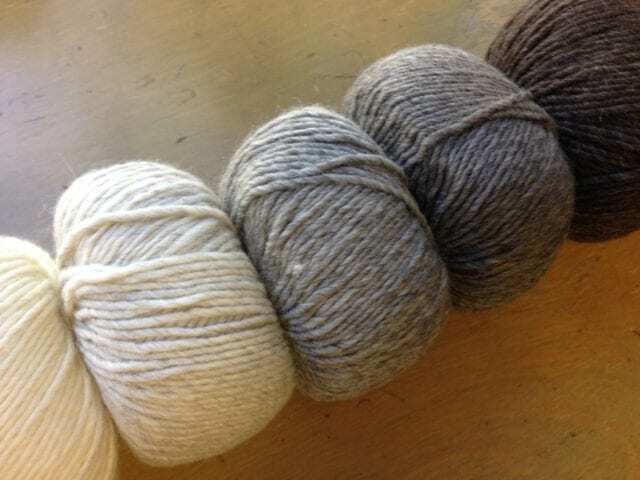 Thusfar, all the glorious shades of Tundra have been solid, sometimes flickering with a bit of hand-dyed variation. 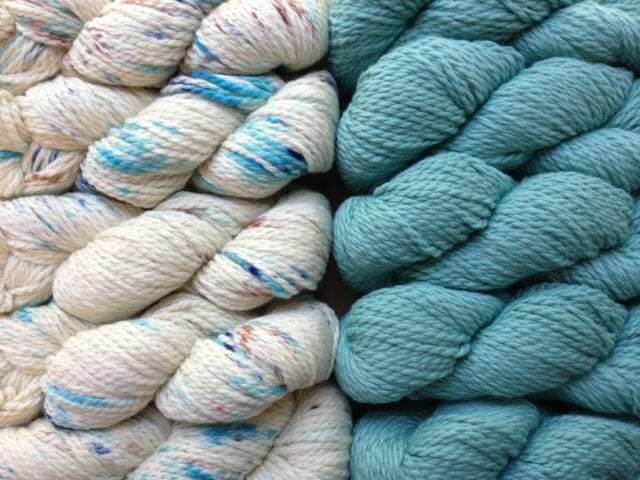 We were surprised and excited to find two new speckled shades in last week’s box, each with its own related solid color. 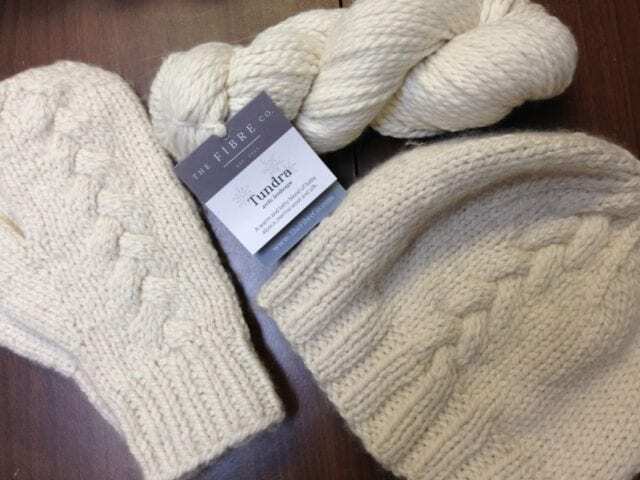 Tundra is ideal for luxurious winter accessories, so keep it in mind as quick-to-make gifts begin to top your to-do list. 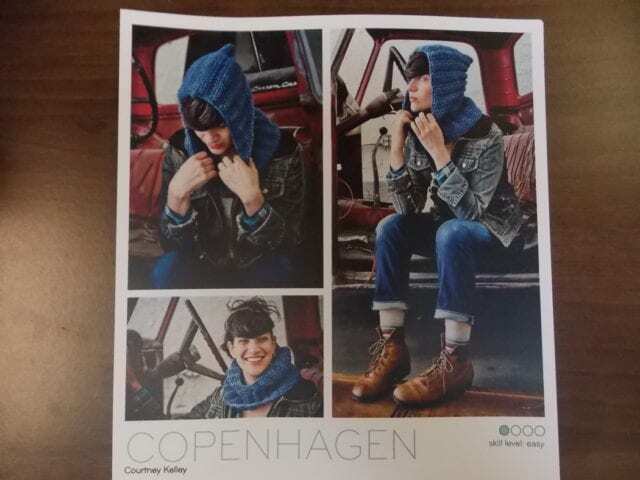 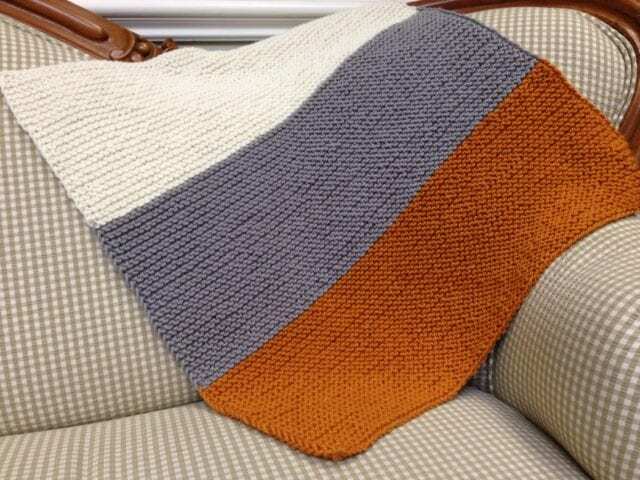 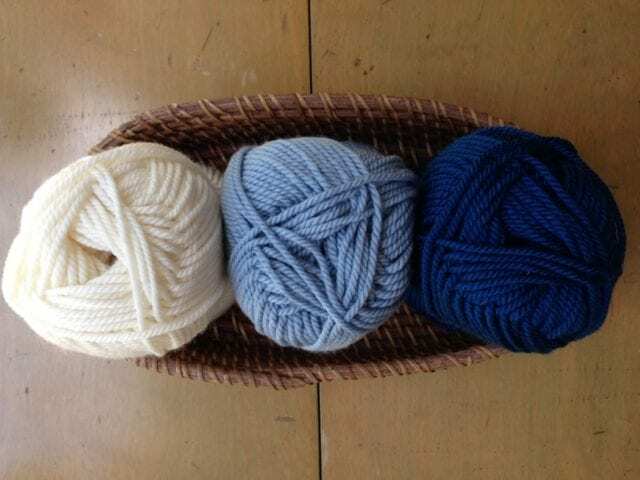 Think “Arctic Circle,” “Tallin,” “Twin Leaf Loop,” for everyone loves a cozy cowl, no? 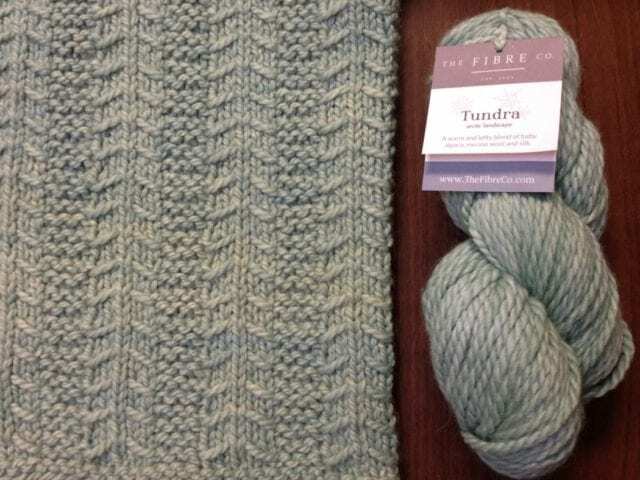 Look for Tundra in the bulky weight section here at the shop! 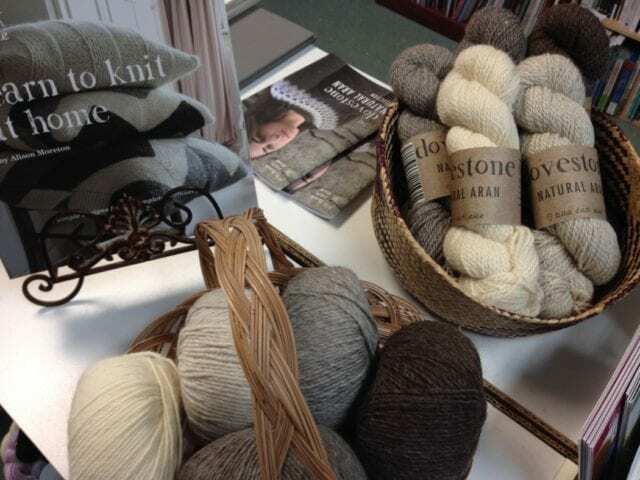 Yesterday we were pleasantly surprised to receive a highly-anticipated trunk show a full week earlier than expected. 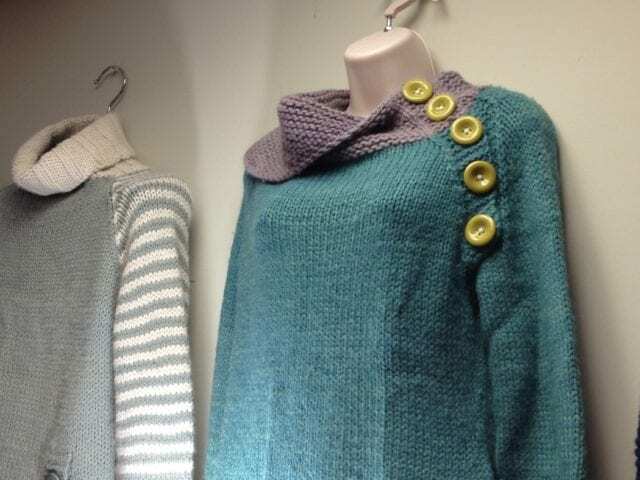 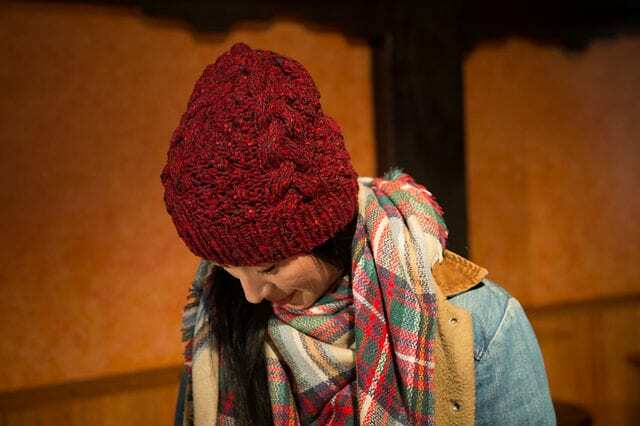 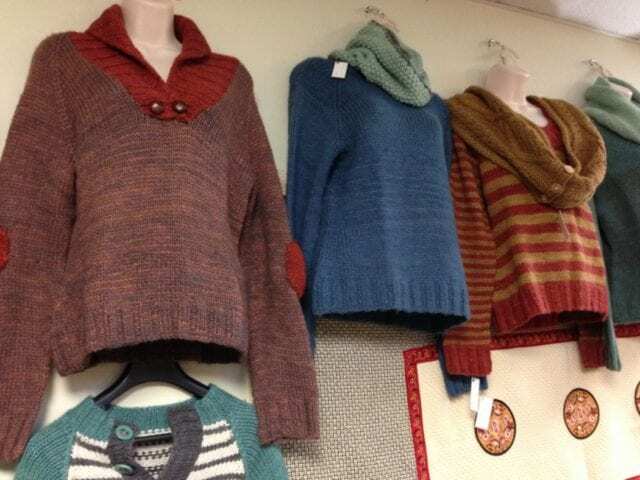 Come by the shop to see the Kelbourne Woolens Arranmore Collection in person! 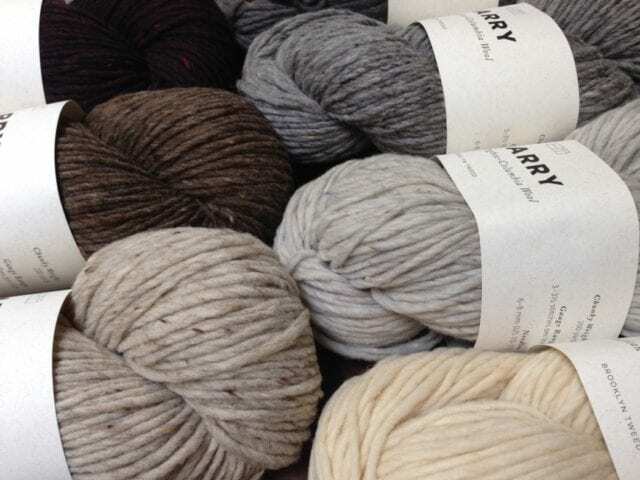 This group of cozy garments and accessories is named for the yarn it features: Fibre Company Arranmore, a bulky weight tweed composed of merino, cashmere and silk. 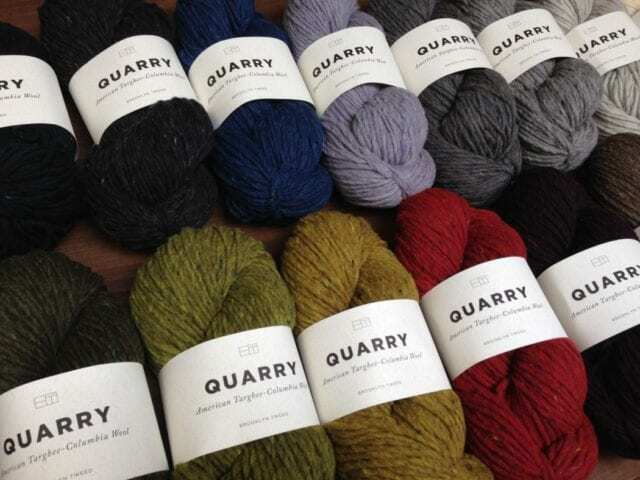 One of the most notable qualities of Arranmore is its loftiness in spite of its bulky gauge. 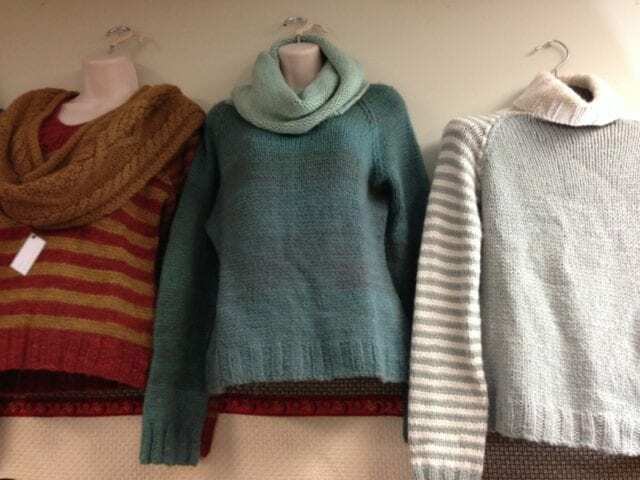 Sweaters knit in bulky yarn can droop and sag with time, but Arranmore holds its shape, warm but not heavy. 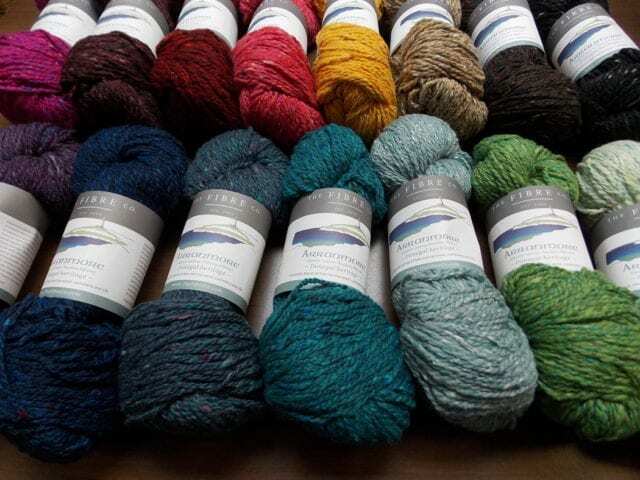 Anne’s completed “Carrowkeel” hangs with this show, though if you’ve been to the shop in the last month or so you’ve likely seen it already. 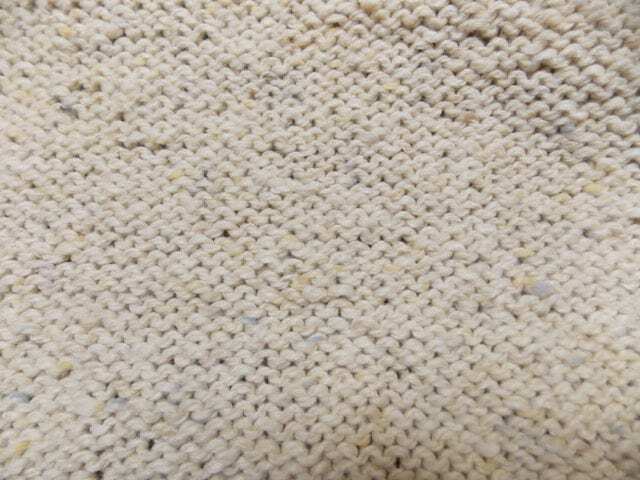 It’s such a classic, this simple stockinette turtleneck, and it looks even better on than it does on the wall. 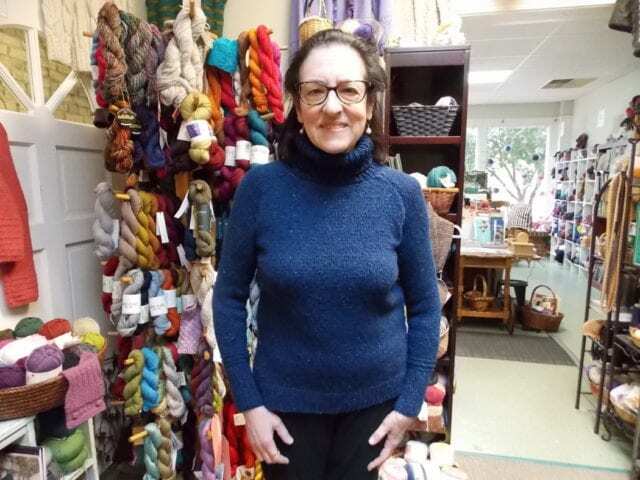 Though the wall is where it’s lived since she sewed its last seam, I did convince her to pose for a photo. 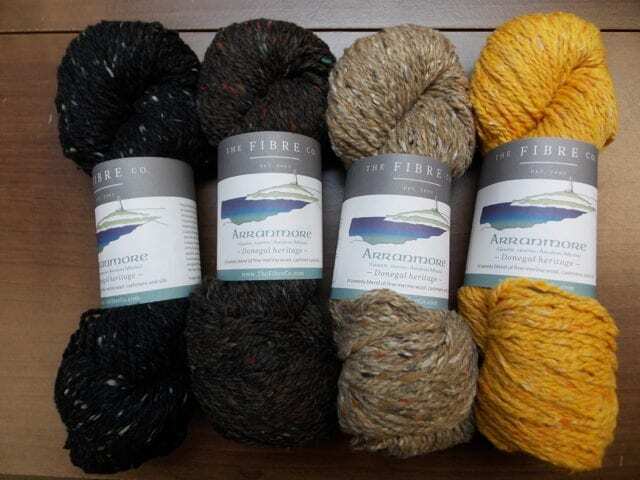 Look for the Arranmore Collection Trunk Show here at the Hillsborough Yarn Shop, on display until November 27th! 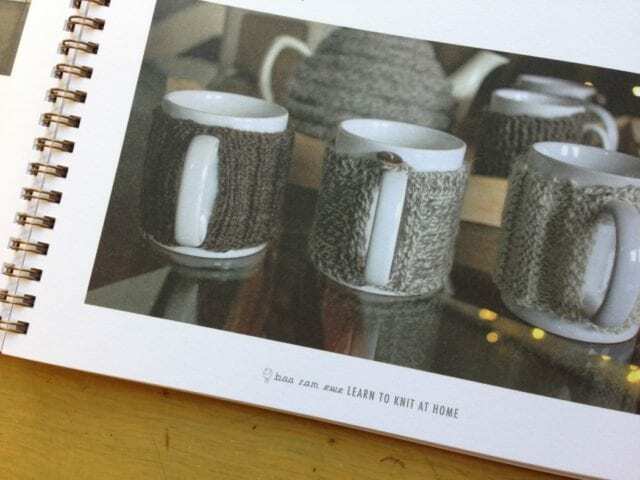 Perhaps you’ll find your next project among the collection. 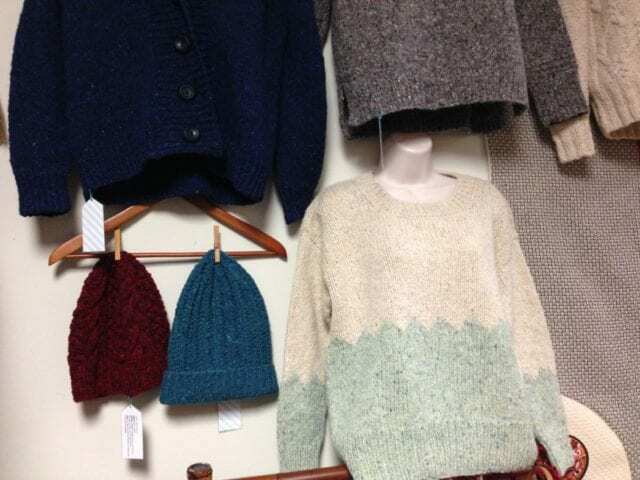 See you at the shop! 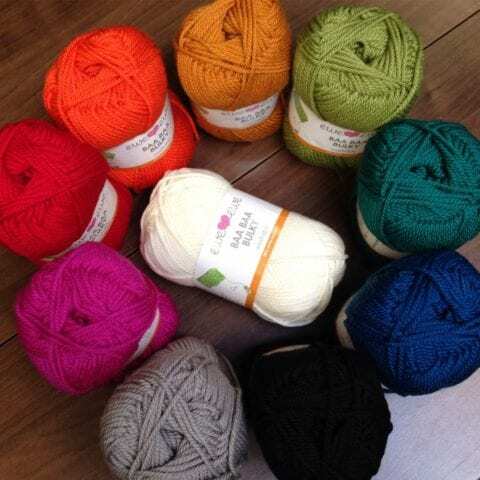 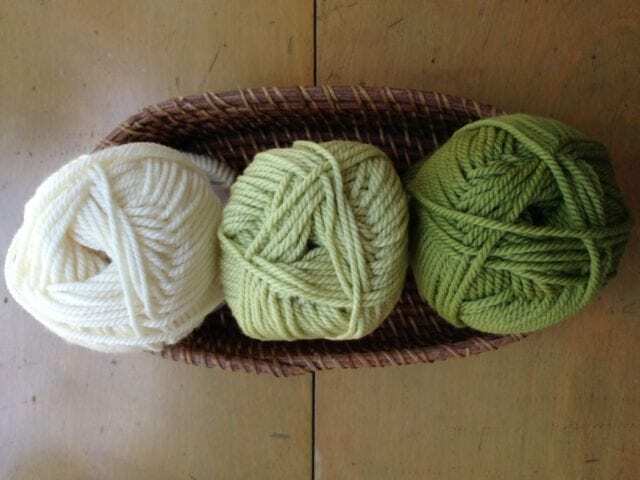 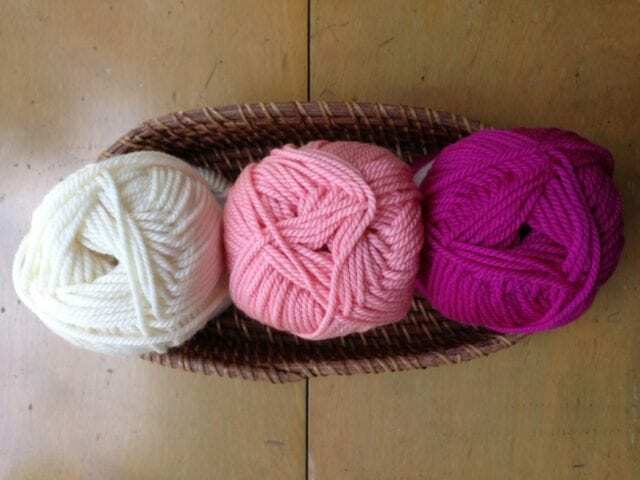 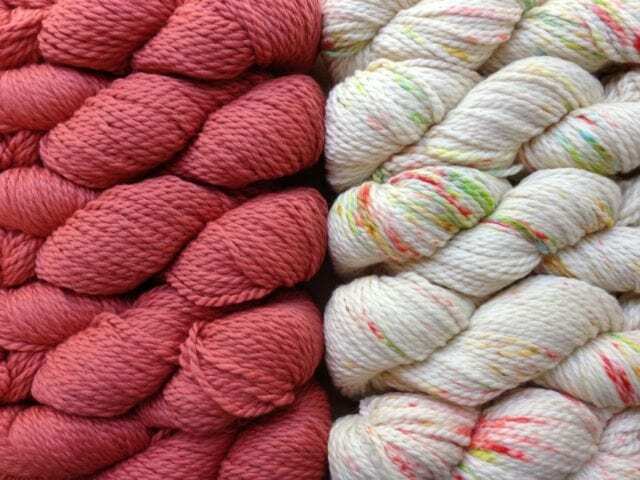 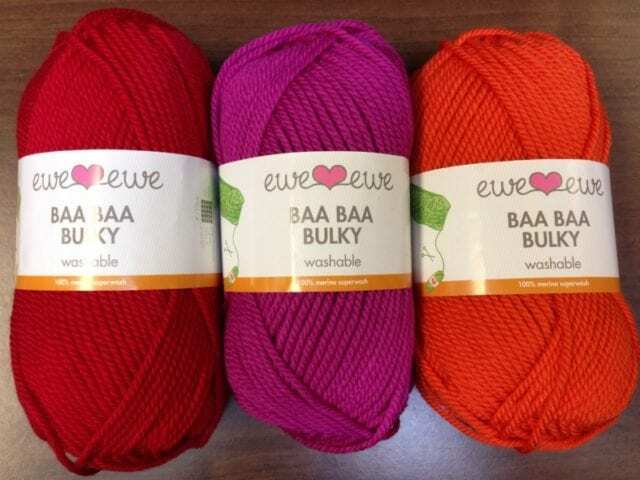 A new Trunk Show has arrived to inspire and delight Hillsborough Yarn Shoppers! 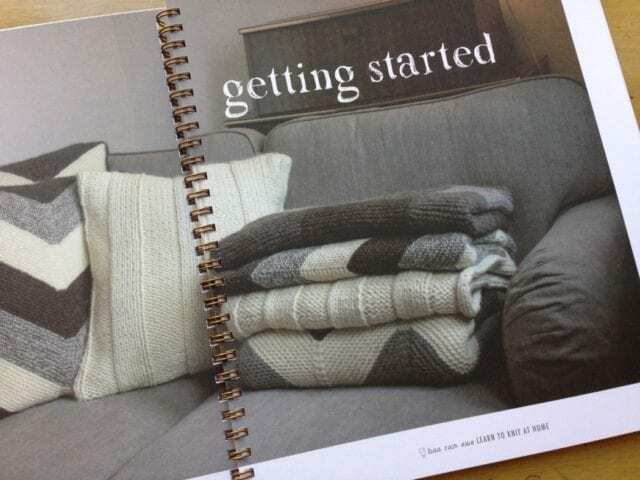 Come by soon to see the Tundra Collection and Tundra: Elements. 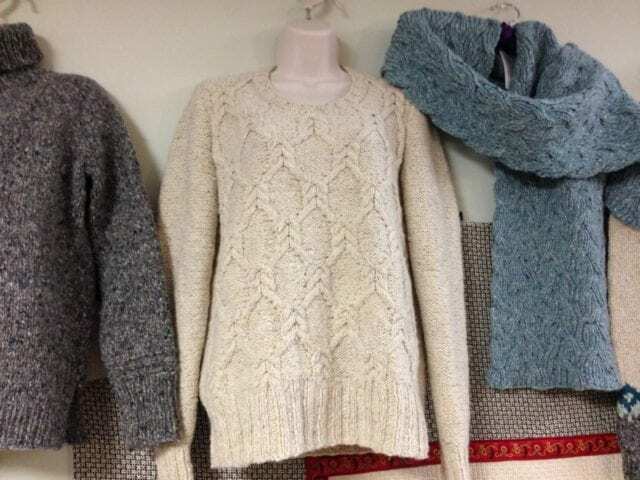 None of these garments require more than 3 skeins of Tundra to make, so they’re quick, satisfying projects. 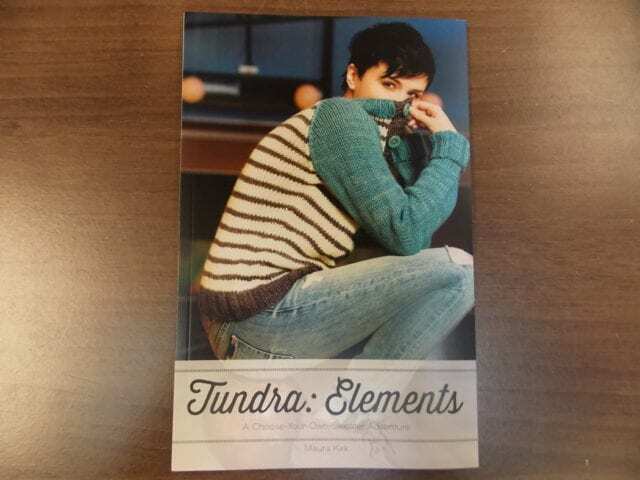 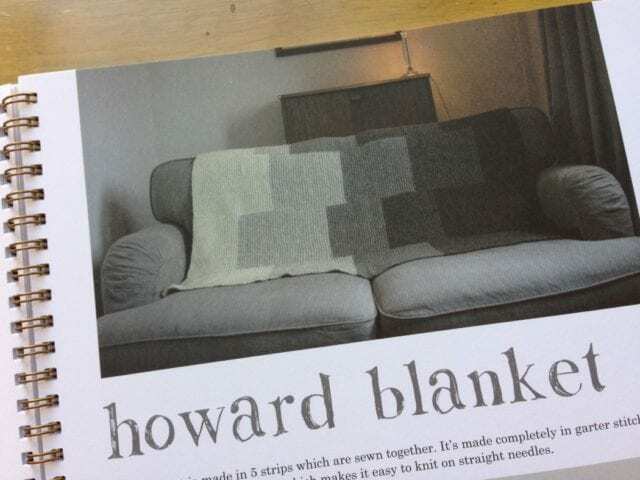 Tundra: Elements is a booklet of sweater patterns all derived from one simple design, a cozy raglan. 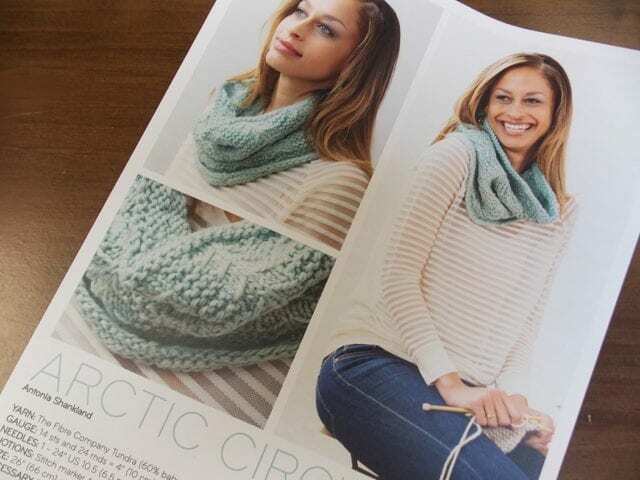 Add stripes or pockets, choose a hood, v-neck, henley, or turtleneck, and the look changes entirely, though the basic shape is the same. 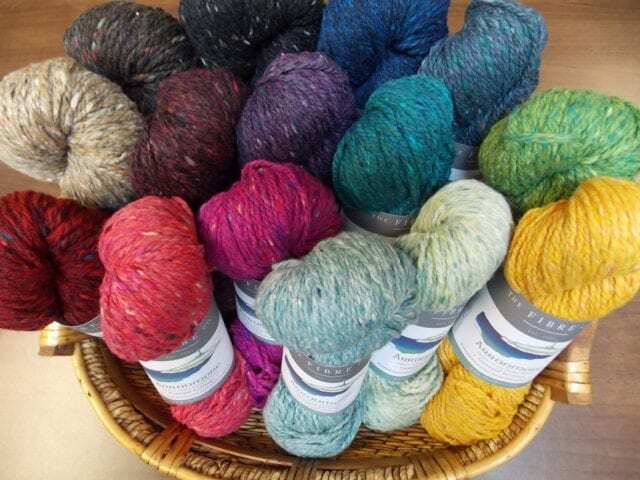 We’re offering a 10% discount on Fibre Company Tundra during the Trunk Show, so hurry in to get this brand new yarn at a great price! 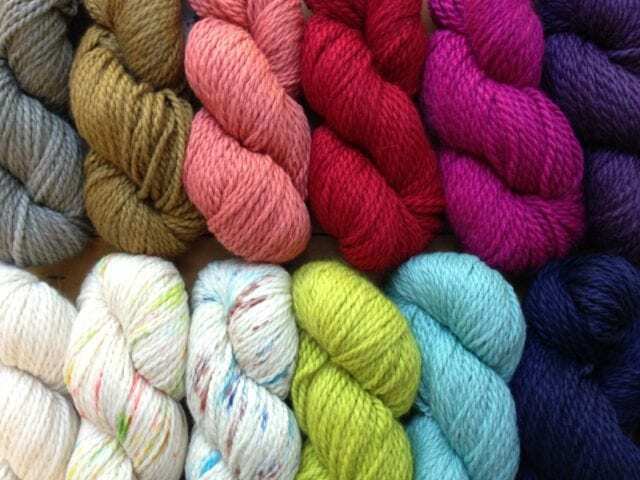 With the arrival of Fibre Company’s exciting new yarn, Arranmore, comes a predictably lovely pattern collection from the design team at Kelbourne Woolens. 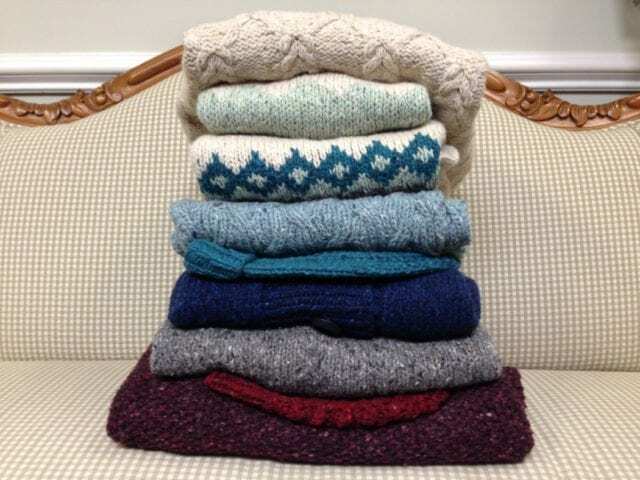 Inspired by traditional Irish knitwear, the Arranmore Collection features six sweaters, two hats, and a scarf. 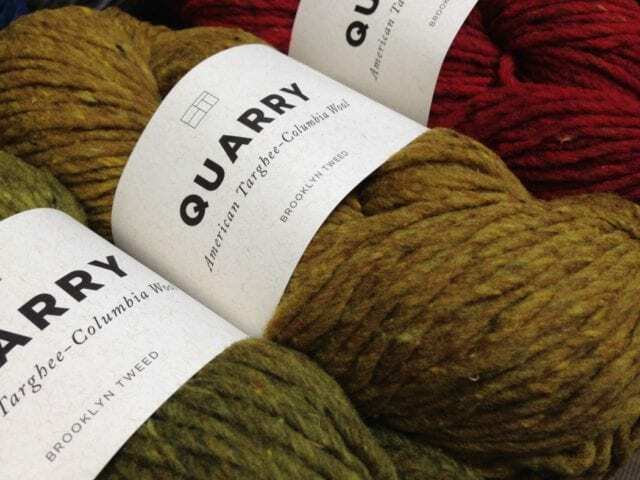 Tweed yarns like Arranmore liven up simple stockinette, to be sure, but they do equally well in texture and cable patterns, and bring nuance to stranded colorwork. 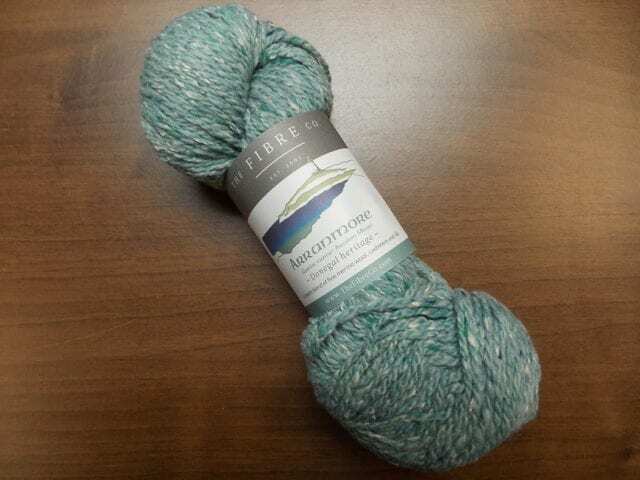 Anne’s knitting “Carrowkeel” as a sample for the shop, using Arranmore in “Meara,” a deep blue with flecks of cobalt and red. 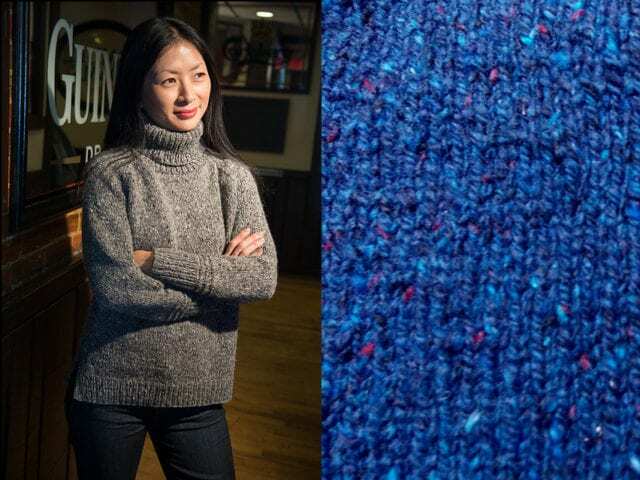 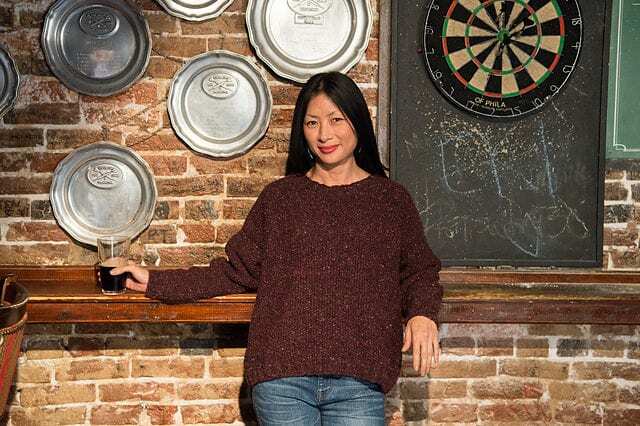 This cozy turtleneck is designed to be worn with positive ease, and looks like perfect North Carolina winter outerwear to me. 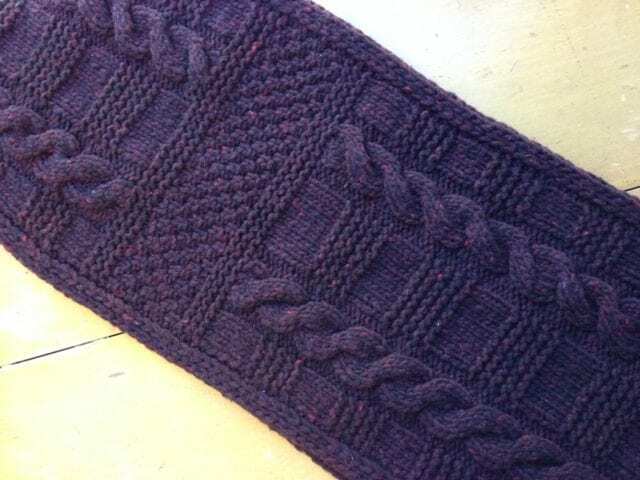 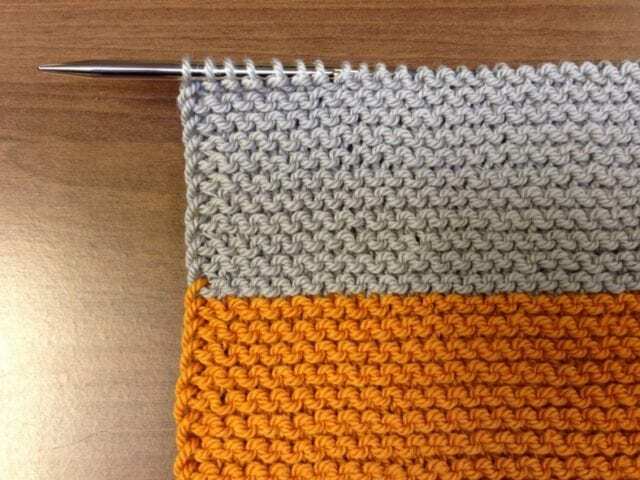 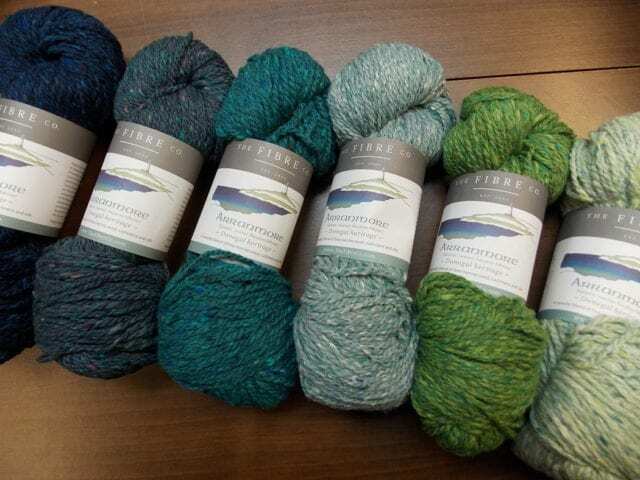 Meanwhile, I’ve been working on a “Finn Valley” sample, using Arranmore’s “St. 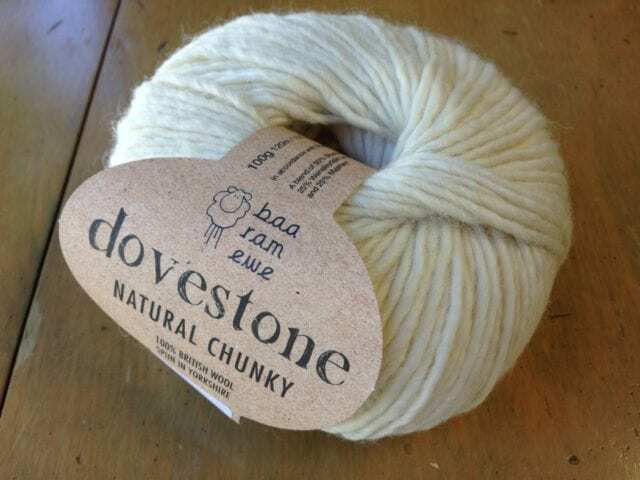 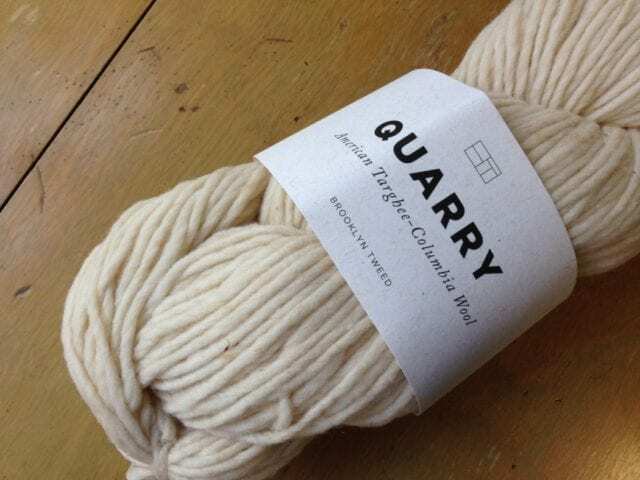 Claire,” a natural white with flecks of beige and pale blue that really lets the cables shine. 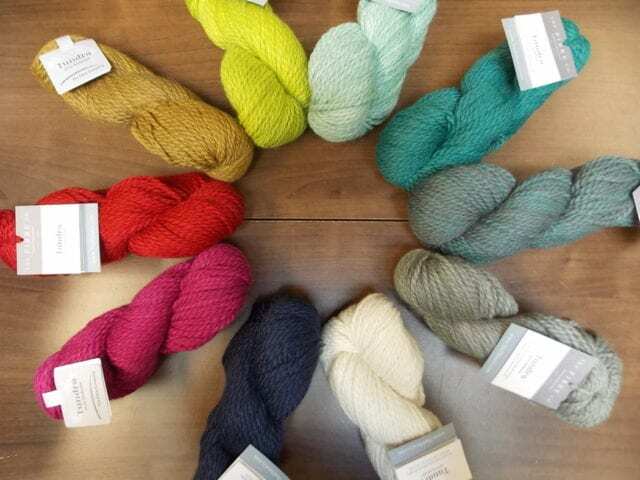 I’m sorry to report that this color is currently on backorder; let us know if it tops your list so we can alert you when it arrives! 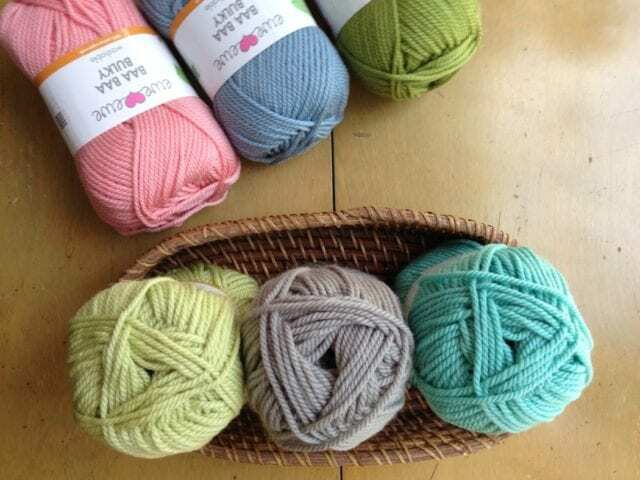 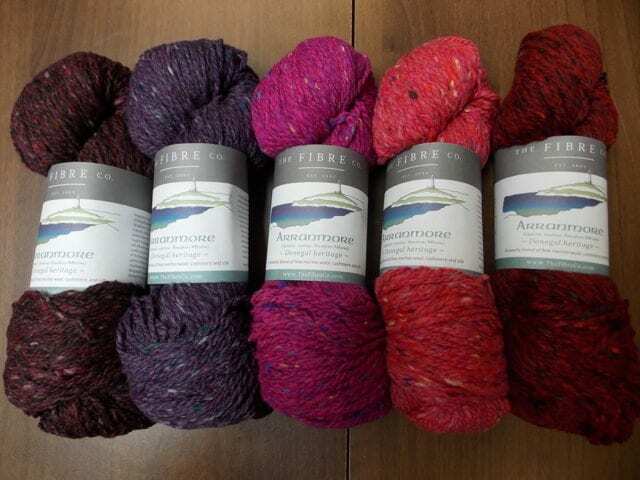 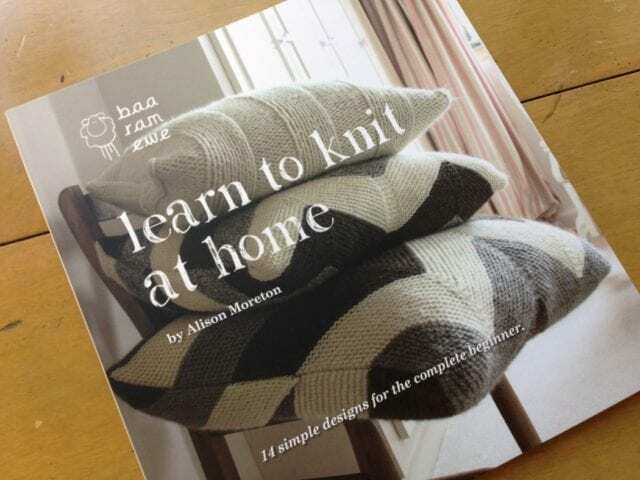 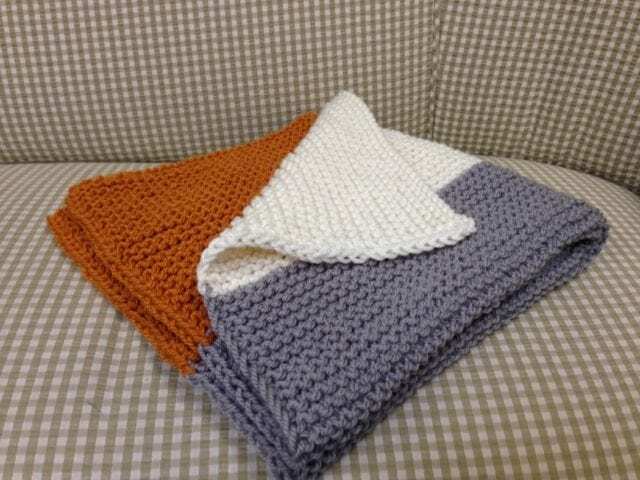 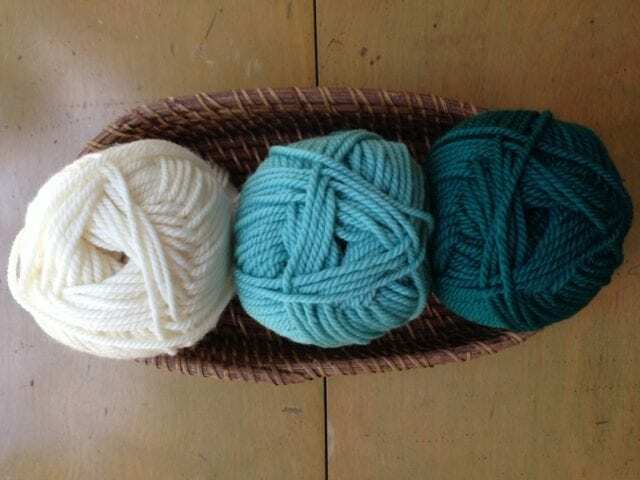 Look for the Arranmore Collection along with Arranmore yarn here at the Hillsborough Yarn Shop!